Monkeys! is a major family-friendly exhibition which explores the fascinating world of primates. Presented within an immersive, multisensory and specimen-rich environment, the exhibition brings innovative taxidermy to life and invites visitors to meet both their primate ancestors and today’s apes and monkeys. 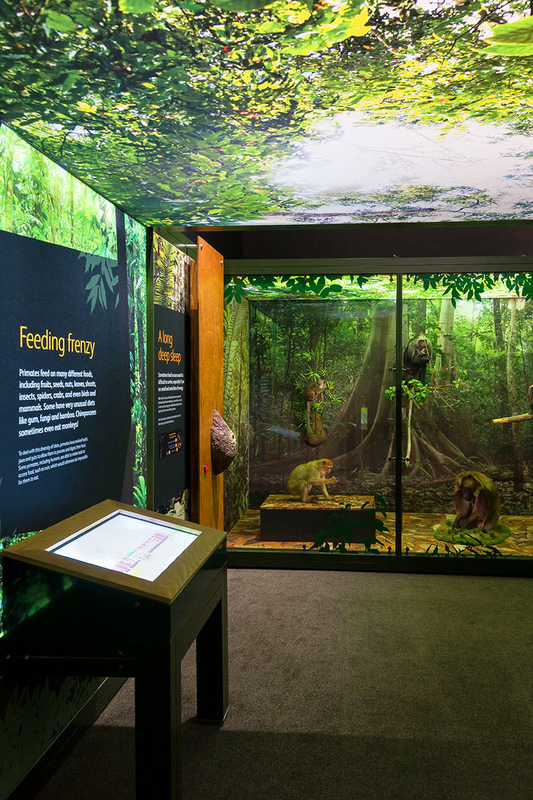 The exhibition explores the extraordinary diversity of primates from the tiny mouse lemur to the mighty gorilla, examining how they live, move, eat, play and interact, and how they have evolved and adapted over time. It also investigates the relationship between humans and primates, including the threats of extinction, habitat loss and hunting. Monkeys! 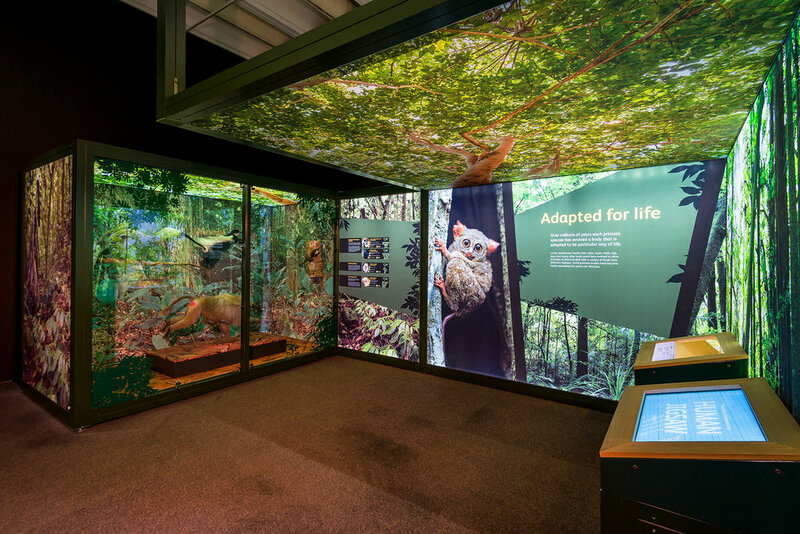 features more than 60 spectacular, newly-prepared taxidermy specimens of monkeys, apes, lemurs, lorises and bushbabies, 6 engaging digital interactives and 3 manual interactives, stunning photography and films.